A winning website succeeds by doing what it’s designed to do – and that can be different from what business owners expect. The web development business has a lot to answer for. Back in the early days of the web, early development firms seemed like magicians to many business owners, and their pronouncements were treated like profound truths. The web, they said, would change the world and change the face of business, which it obviously did. But they said a lot of other things too: The web would become most business’s primary way of interacting with customers. The web was the ultimate advertising medium, eclipsing even TV. The web would make other media extinct. The web was the ultimate brand-building tool. None of those things have come to pass – far from it. “Old media,” while diminished, is still going strong. Most businesses still primarily interact with customers through non-web means. And apart from web native companies like Amazon and Uber, the web has been nearly a total bust when it comes to brand-building. Think about it: What famous name products that you can think of began as online rather than offline experiences? There aren’t many. In the quarter century since web mania first struck, early web developers’ lofty promises haven’t panned out – but the industry hasn’t done much to correct the false beliefs they created, let alone atone for them. Too many companies still build sites and online presences in the belief that this will put their businesses on the map, and usually it doesn’t. That’s because no one has let these businesses owners in on the web industry’s dirty little secret: Unless you’re Google, Yahoo, or Facebook, a website is not an advertising medium. What it can’t do is the thing most business owners expect it to do: Advertise. When you launch a TV commercial, a print ad, or send a mass mailing, your message appears in front of customers without them expecting it, or having to do anything to see it. It’s just suddenly there, and for better or worse, they’re seeing your message. When you launch your website, on the other hand, nothing happens. Your site sits alone in the vast digital ocean of cyberspace, waiting to be discovered, and usually in vain. It’s only when you advertise your site through other media that any visitors come and any magic starts to happen. Whether it’s a URL in your email signature or on a business card, a paid Google or Facebook ad, or splashed across a thousand billboards, people have to be told where to go and they have to be given a darn good reason to go there – and that happens outside of your website. For many businesses (and for many web developers) that should be an “Aha moment.” The web is about fulfilling demand – not creating it. To put it bluntly, if your assumption and expectation are that your site will build your brand or mass-market your business, you’re in for a big disappointment. On the other hand, if you expect your website to deliver information to customers and serve their needs, it can do that admirably if designed and deployed properly. 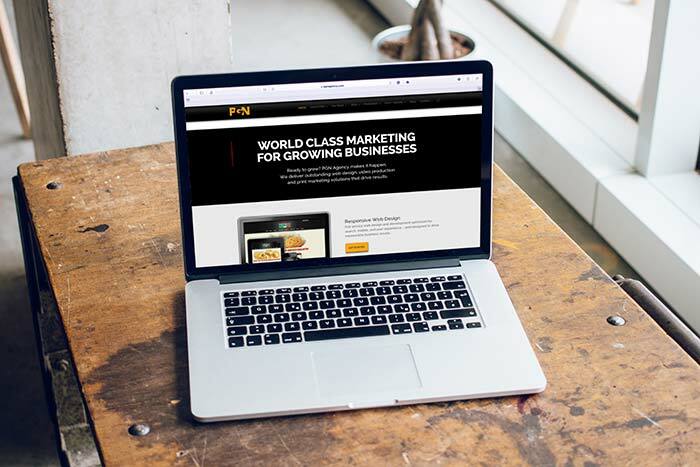 At PGN, we start our site projects with that assumption: The sites we build are about meeting needs, not creating them. That works out best for our clients, and best for us.